So I was doing some cleaning up, and I found my collection of Dragon Dice, a collectible/trading dice game TSR published back in the mid 90s. It was an attempt to get into the market dominated by Magic: The Gathering, but with something different (they were also trying with their own card games, such as Spellfire and Blood War). What makes Dragon Dice especially famous is that the head of TSR at the time tried to get a cheaper price from the manufacturer (as the first run of 35,000 sets sold out entirely at GenCon), and they would only do so with a large order…of one million sets (not dice, *sets,* which consisted of a good number of dice each, and it was the starter pack, not the expansion packs). Needless to say they couldn’t actually sell that much, and it was a contributing factor to the downfall of TSR. 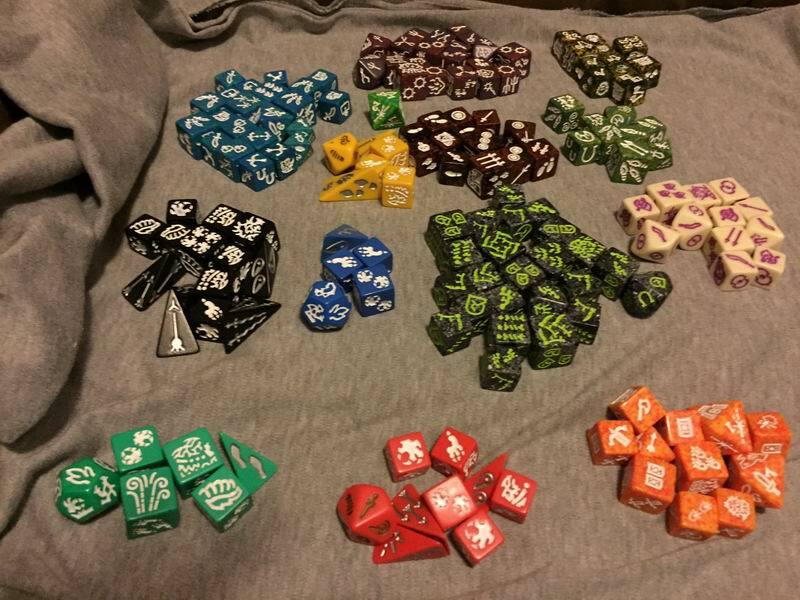 I learned since I found my dice that they are still being sold; apparently another company is still selling the sets, which are apparently from that enormous run (they purchased the surplus when WotC was going to landfill them). You are currently browsing the AuldDragon's AD&D Blog blog archives for December, 2016.